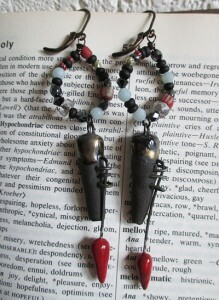 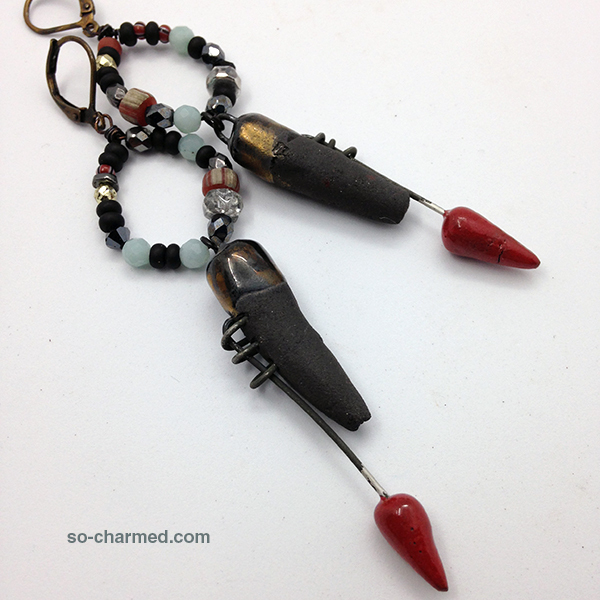 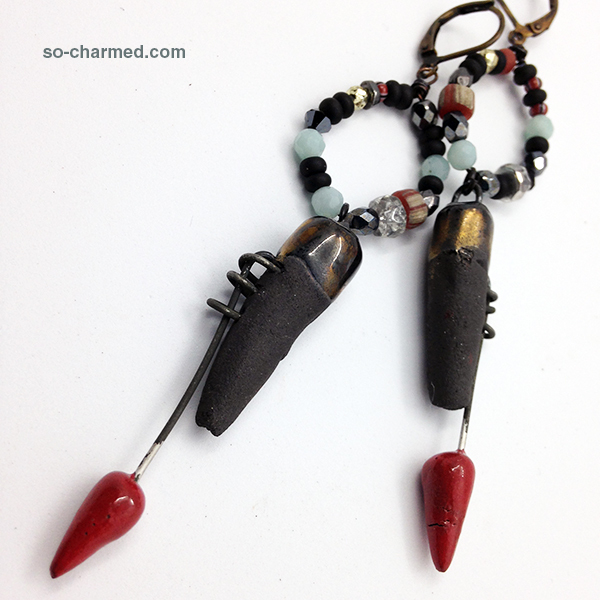 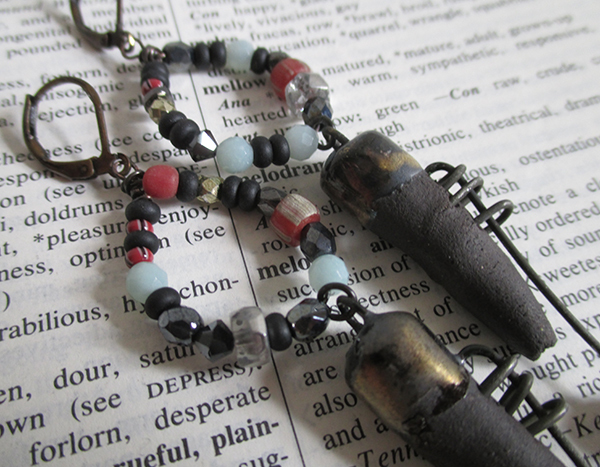 Dangerously cool industrial tribal earrings feature hand-crafted fired black clay (with bronzy metallic glaze) and caged metal blood red spike dangles. With a beautifully curated selection of bohemian glass and tribal beads (Czech/Indonesian). Treasures for the traveller of mind and body, she who walks amongst the living. 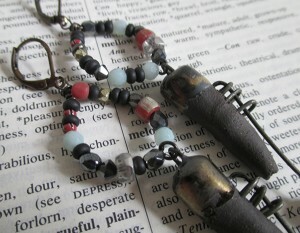 Brass leverbacks, which are really my personal favorite wire, but can be swapped out, just email.